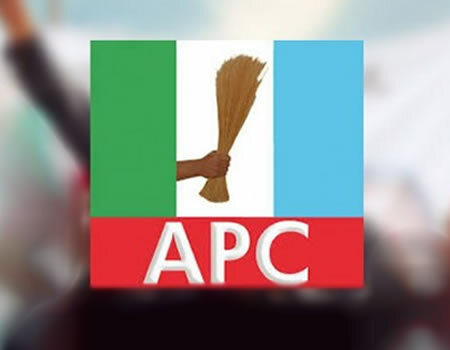 We are constrained to make public our stance on Kwara State chapter of the All Progressives Congress (APC) on important issues, including sharing of positions within the party and 2019 elections. We have followed events unfolding in our party in the past few months, which we can confidently state that, the party has been hijacked by a cabal. The fact that, we won the last by-election is not a testament of the party in a healthy state but a resolve of the people to reject the worn-out Saraki hegemony in the state. We are quick to warn that, the people must not be taken for a ride again, which was the undoing of Saraki on Kwara issues. APC that we are hoping to take over mantle of leadership in Kwara State has not shown enough capacity to measure its readiness but on a default setting. Any party willing to take over from Saraki must do away with the old order which has been rejected or do away with any contraptions and think of a better option. Saraki and PDP are fielding a - 50 year old man as its governorship candidate, and yet to announce a running mate which is likely going to be a departure from what we used to know. However, APC through a powerful cabal under the run of a former minister in a club of the 70s are plotting an hijack of party by picking a running mate for the party. We watched the social media awashed with pull Abdulraham Abdulrasaq down stories about 48 hours ago, only for an obscure - old man surfacing in the social media, just after the pull down story. Why whipping our candidate to accept who, he can't work with? Is Bashir Bolarinwa incharge in anyway, looking at the tearse denial of the announcement by his PRO on the party's choice of ruining mate? If really the obscure -old man is the best for the party, can we ask where was he, when the likes of Rex Olawoye and others were fighting for the masses? Is this the best, the party can produce after it tactically delayed until nomination closes on December 1st? It is ridiculous that, after the unfortunate leak of the old man to the social media, many were still asking, who is this man? Even his promoters were still asking for his credentials from the public? What is a man who governed a local government area in 1992 and lost in 1998, including his ward bringing to the table, 26 years after? What manner of party is Kwara APC that, looks down on youths and women? Would Alhaji Abdulraham Abdulrasaq allowed himself stampeded by a club of old men seeking relevance at the expense of the majority? We beckoned on the party's leader, Alhaji Lai Mohammed, Honorable Minister of Information and Culture to wade in and save the party from imminent collapse. He must know that, those oldies have always mocked him and may not wish him well. We know elders that are genuine and supportive of Kwara growth, party development and success of the minister. We have decided to take our destiny in our hands and will take appropriate moves, if all wrongs are not right. If the party is insensitive to a level of tactically keeping a graveyard silence, we shall be more tactful to delay our action. Delaying pronouncement until the date of closure is a not a new strategy, we know when to close up on the cabal and conniving elements at the helms of affair. We demand that, deputy governor be given to a known young man or woman from that LGA of choice, that will add value to our electoral victory not an agent of any cabal representing spent forces.